Sometimes it’s best to take your critic’s glasses off and just enjoy something for what it is. Actually, most of the time it’s best to, I would say. It just makes life more enjoyable — and easier. The Everglades Wonder Gardens billboard welcomes you. This week I had the chance to check out a flashback to a simpler time and a celebration of everything that is wonderfully eccentric about the state of Florida. 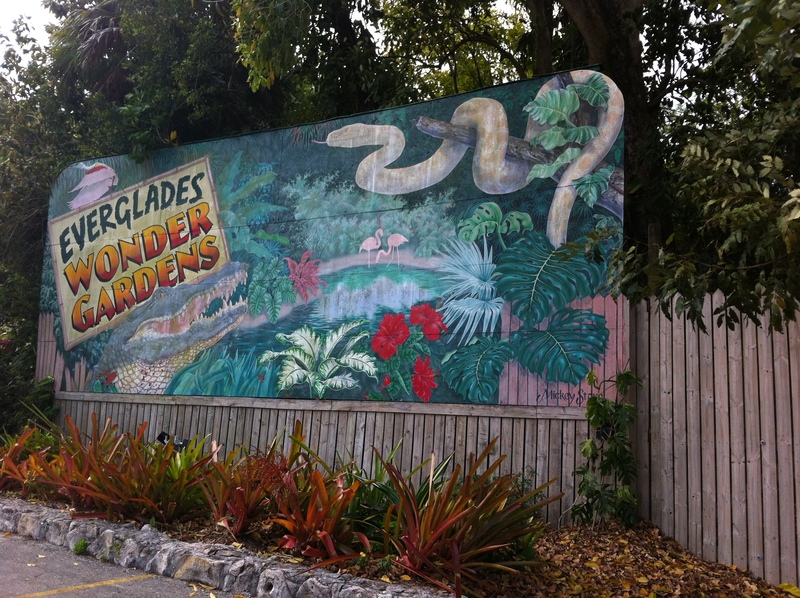 The Everglades Wonder Gardens is a true blast from the past — a resurrected Florida roadside attraction from yore, when a drive in the car and a picnic and feeding turtles and oohing over pink flamingos was enough to make everyone’s day. 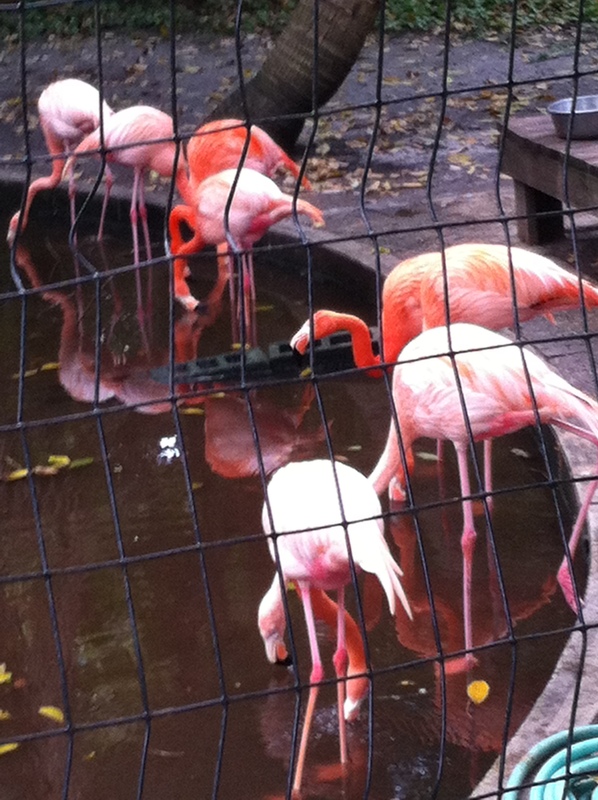 Getting up close with pink flamingos brings out the kitschy side in all of us. They were blissfully unaware of people and would get quite close. Did I see alligators? Yes. I even heard them. Did I touch a snake. You bet. A constrictor with soft, leathery skin. Did a parrot say goodbye when we left. It did! 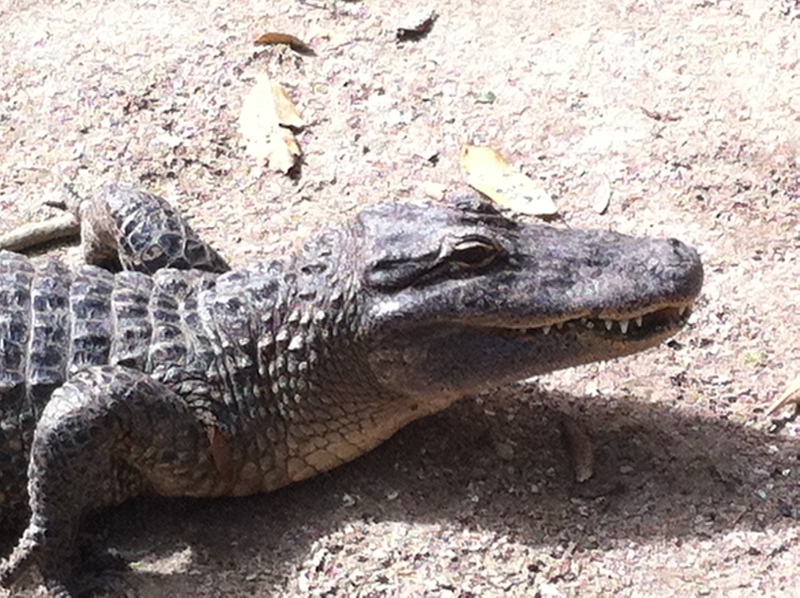 Did I learn anything new about Florida plant life or any of the animals in the gentle confines? Not at all, but I didn’t care. Granted, I had a Groupon and paid only $12 for me and the hubby, but it was such a lovingly earnest place with a sort of can-do attitude about it, I fell in love. Apparently, the current managers are leasing it and it is up for sale and they basically rescued it from demise, when the former owners closed in 2013. It had been open steady since 1936 and a not-for-profit status has been established to help save it. 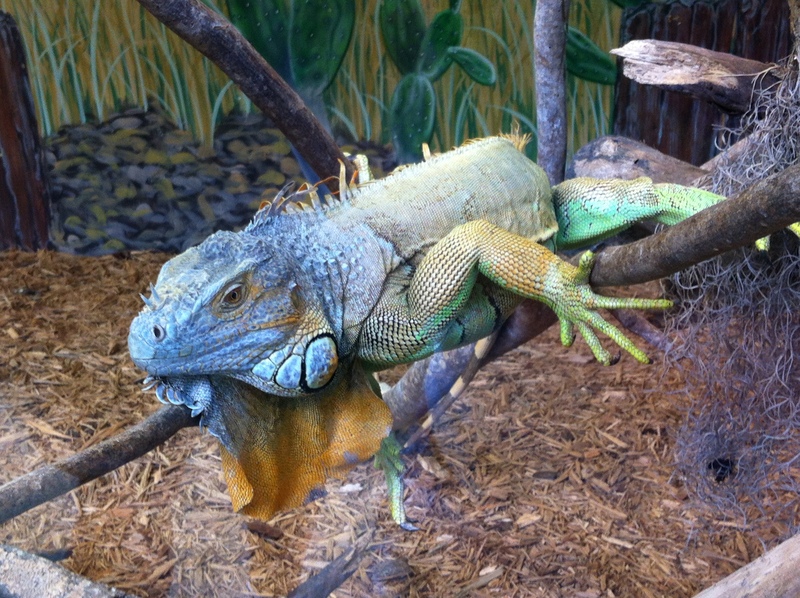 Mr. Iguana was gorgeous and his caretakers treat him like a king. It was great to see. Highlights were the pond of alligators, the sea of turtles with moss on their shells that come swarming for food when they see you, the pink flamingos, of course and Oscar the sassy cockatoo. It was also interesting to note several species of trees marked invasive in Florida, likely a remnant of a time when gardeners and plantspeople were not yet aware of such a threat. I actually picked up some hort tidbits, plus the vintage sign was irresistible. Oh, and if you were wondering, you can even get married at the gardens. Plus, it’s located in charming Bonita Springs, which gives you true Old Florida, just a short drive from the beach. 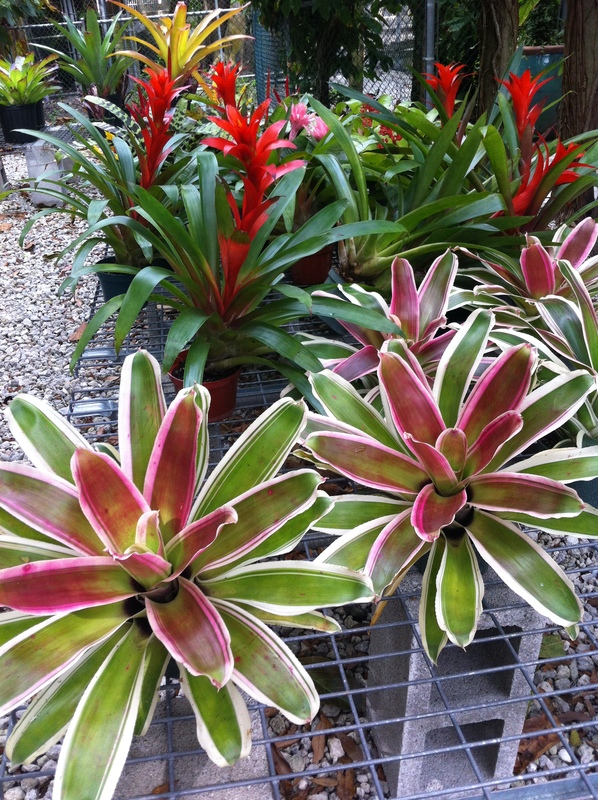 The bromeliad collection was pretty stunning. 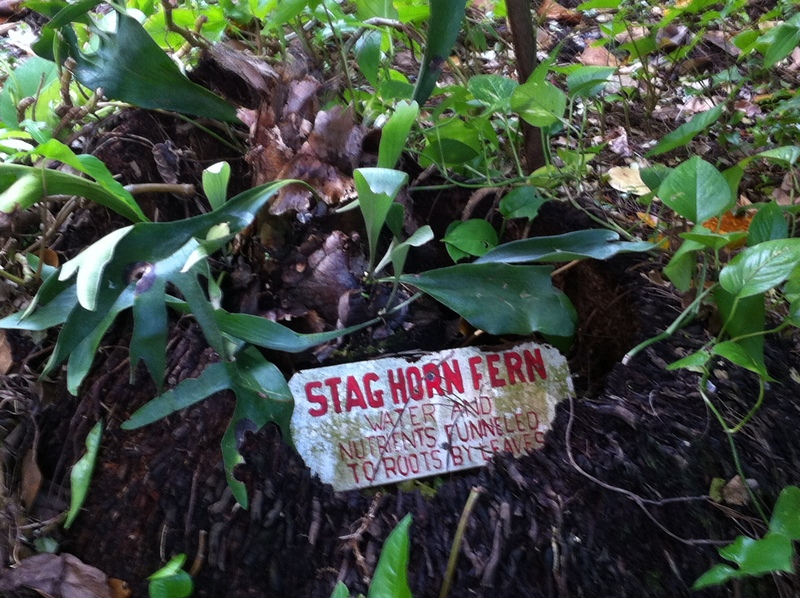 A horticultural highlight!